Newman, the former chairman of the ABC and the ASX, said persisting with government subsidies for renewable energy represented a “crime against the people” because higher energy costs hit poorer households the hardest and there was no longer any logical reason to have them. Newman acknowledged Coalition policy was to retain the current target to generate 20% of renewable energy by 2020, but told Guardian Australia in his opinion “the whole science on which this is based is somewhat in tatters”. Speaking of the advisory council he would chair under an Abbott government, Newman said: “It is inevitable energy prices will be one of the issues that will be of concern to business. Low energy prices are what has always made Australia internationally competitive and because of the RET and the carbon tax we have lost that advantage. “Whether the Coalition will change their policy on the RET is up to them … I believe it should be removed because the basis upon which we accepted in good faith that we needed it is no longer there. Guardian Australia contacted Newman after seeing minutes of a meeting of an anti-windfarm group called the Crookwell District Landscape Guardians at his southern highlands property on 28 April. Newman appeared to warn the 56 attendees they might not sway the Coalition. “Given the experience of the NSW Coalition which promised much when in opposition, but in government pursued the same policies as Labor … we should reserve judgment until after the election,” he said. But other anti-windfarm activists are preparing for a 18 June rally at Parliament House, effectively trying to use the same “people’s revolt” strategy encouraged by Abbott against the carbon tax to try to push the Coalition leader to drop the RET and stop new windfarms. A slick, anonymously-run website called Stop These Things (STT) urged readers to attend the June rally because “while it’s safe to assume the Coalition will cruise to victory in September, don’t assume they are on our side”. It added: “It’s time to put them in the spotlight and find out precisely where they stand … the main game is in Canberra where the RET policy was started and where it has to end. The Coalition need to get the message loud and clear – and the message is simple. Australia simply can’t afford the great wind power fraud. “With the federal government effectively sanctioning a doubling of power prices over the next two or three years, the Coalition will be helping to destroy businesses and harm families … We’d never advocate a riot, but the time is right for marching in the streets. So grab your placards, don your T-shirts and put your angry face on for a march on parliament. “STT thinks it’s time to let the Coalition know that Australia is not going to pay exorbitant prices for electricity simply on the basis of some ideological whim … This is not just a matter for country people trying to protect their rural communities. It’s about a battle for affordable electricity and the future of the country. “STT throws down the gauntlet to Coalition MPs to turn up and front the mob that assembles on 18 June to explain what the Coalition plans to do about the greatest fraud in Australian history. Coalition senators Chris Back and Ron Boswell and backbencher Craig Kelly are scheduled to attend the rally. As reported by Guardian Australia, the Coalition’s yet-to-be-released resources policy will pledge to mandate continuous noise monitoring of windfarms, a requirement the industry says is crippling in cost and will not provide useful information. The Coalition resources spokesman, Ian Macfarlane, says the Coalition supports windfarms and the policy aims to allay community fears and provide transparent information. But many Coalition MPs want to see the RET scrapped and new windfarms banned. Newman has previously made his anti-wind power and climate sceptic views clear, but has not put the business case for the Coalition to remove the RET. 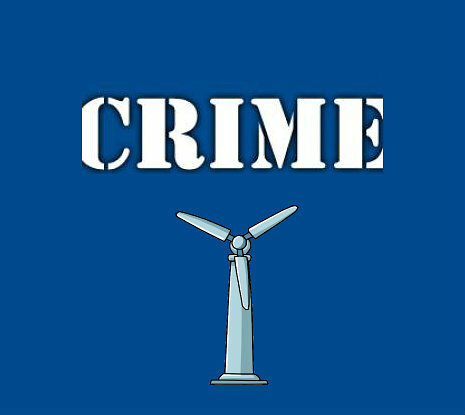 Last January Newman wrote in the Spectator that windfarms were “grossly inefficient, extremely expensive, socially inequitable, a danger to human health, environmentally harmful, divisive for communities, a blot on the landscape, and don’t even achieve the purpose for which they were designed – namely the reliable generation of electricity and the reduction of CO2 emissions”. Abbott has said the prime minister’s Business Advisory Council, to be chaired by Newman, would meet three times a year. Newman said he imagined it would be similar to the financial sector advisory committee he chaired under the Howard government, which had a secretariat in the treasury. Newman’s property is close to the Crookwell 1 and 2 windfarms proposed by Union Fenosa. AND DO THEY LISTEN , NO BECAUSE IT BIG BUSINESS AND THEY CAN NOT GO AGAINST THE ORDERS OF THEIR MASTERS , THE QUEEN AND THE RULLING ELITE IN LONDON, UK.